How does the TB culture test work? A culture test involves studying bacteria by growing the bacteria on different substances. This is to find out if particular bacteria are present. 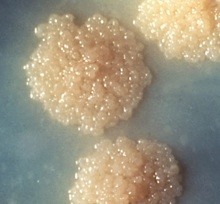 In the case of the TB culture test the test is to see if the TB bacteria Mycobacterium tuberculosis, are present. The substances are either solid substances on culture plates, or bottles of liquid known as culture broths. The substances are chosen to make it as easy as possible for the bacteria to grow. Culture can also provide drug resistance testing, formally known as drug susceptibility testing. This means testing to find out if a person is resistant to any TB drugs and if so which ones. That is has the person got MDR TB or XDR TB? TB drug resistance testing involves culturing TB bacteria in the presence of anti TB drugs. If the bacteria grow it means that the bacteria are resistant to the drugs. If the bacteria don’t grow it means that the drugs are effective and the bacteria aren’t resistant. In direct drug susceptibility testing a set of drug containing and drug free substances, are both inoculated directly with a concentrated specimen. Indirect drug susceptibility testing involves inoculation of drug containing substances with a pure culture grown from the original specimen. 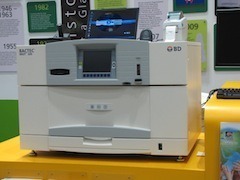 The indirect tests have until recently been regarded as the “gold” standard of drug susceptibility test. However, a major disadvantage of these tests is the time they take and the equipment that is needed. Culturing and identifying M. tuberculosis bacteria provides a definite very accurate diagnosis of TB. This is in contrast to other TB tests where the lack of accuracy is a major problem. It averages 4 weeks to get a conclusive test result using the most common substances. It can then be another 4-6 weeks to produce drug resistance results. This is at a time when it can be a matter of urgency for the person to start their TB treatment. One way to reduce the delay has been to use liquid substances and there are now automated machines such as the Bactec 320 for this.